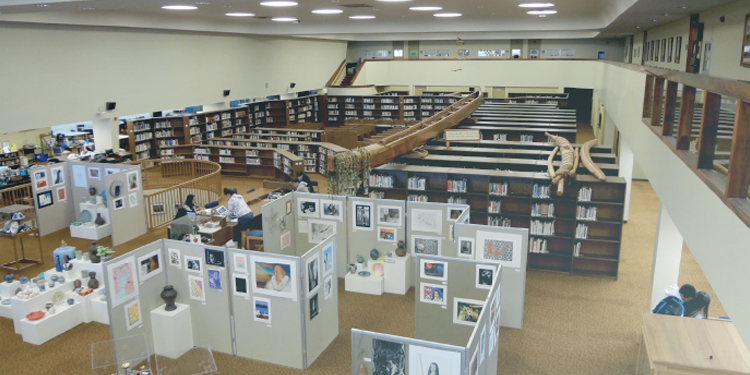 Built in the late 1970s as an innovative high school library, the Midkiff Learning Center is now in need of a 21st century upgrade. This project involved programming, space planning, a technical assessment and cost forecasting for a comprehensive renovation of this 50,000 square foot structure. DSA conducted extensive building analysis, user group meetings and held a programming/design workshop. The overall concept is to remake the Midkiff Center into a lanai type building and gathering place which inspires learning and reinforces Kamehameha School’s Kula Hawaii initiative (Hawaiian school). A major component of this building is the Midkiff Archives which needs to increase and enhance its current space. DSA made recommendations for the relocation of the Archives within the existing building as the first phase of the renovation project.